AnonD-49854, 21 May 2012i love this phone.i was installed nokia drive,maps,music apps and htc hub,locations in my focu... moreBuddy how did u install Nokia drive other apps which is designed for Nokia phones? How can I install them? Mine is focus unlocked version n bought it from eBay... What's ur model? chin, 19 May 2012mr.kanna pls help me to unlock samsung focus,i bought few days ago frm ebay seller pls......in ebay mostly selling unlocked phones.simply contact the seller who sold the phone..if the seller describe as it is unlocked you can raise the complaint against the seller.contact the seller or ebay they will give you solution....and 1more thing it's ebay india or us.?? 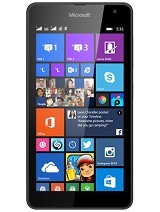 hey guys if i buy a windows phone can i buy apps from the market place here in jamaica? AnonD-37074, 16 Apr 2012Dear Mr.Kanna, Can u pls tell me how can i upgrade my focus WP7 to WP7.5, bcoz every ... morehey abdul whtz ur phone hardware version 1.3 or 1.4.and rogers or at&t which network phone.??? AnonD-37074, 16 Apr 2012Dear Mr.Kanna, Can u pls tell me how can i upgrade my focus WP7 to WP7.5, bcoz every ... morewhtz d error code.? ?and complete reset ur phone connect to system it will done..if not use another pc to update..